Already own a home in the Idlewild subdivision? Thinking of selling? Click here and read about current search trends & our web network. 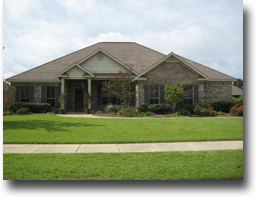 Idlewild subdivision is located at the intersection of 181 and 48 near Quail Creek golf club. The homes in idlewild are also close to Mobile Bay and downtown Fairhope, AL. The community is close to Mobile, AL and Pensacola, FL and both of these cities have regional airport. Fairhope has consistently been voted as one of the top places to live in America and Idlewild is just a few minutes from the downtown business district and the numerous restaurants, boutiques and entertainment venues. If you need further info, have questions or would like to schedule a viewing for any of the homes for sale in Idlewild or any other properties in the area, please email info@condoinvestment.com or call (251) Area-Pro (251-273-2776) for immediate assistance.